Although founded in different decades, the Greater Dallas Youth Orchestra (GDYO) and Cara Mía Theatre Co. (CMT) have several things in common. Both are thriving, dynamic performing arts groups who credit the Sammons Center as having an impact on their progress. GDYO was established in 1972 with 30 members to provide music education and performance opportunities for our area’s talented youth. 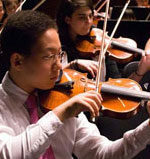 Today, the organization boasts eight ensembles with more than 400 musicians, six conductors, and several staff members. CMT was created in 1996 to produce published, new, and experimental theatrical works and to develop arts programs for young people. 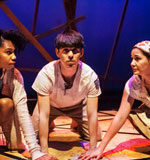 The theater now earns wide acclaim for its staged productions, presents dozens of plays in local schools, and employs five full-time and part-time staff.